Competitions > WIN a Le Creuset set and hamper! WIN a Le Creuset set and hamper! Looking for a short cut to a quick, easy and tasty meal? Keep a tube of Primula on hand and you’re just a squeeze away from delicious melty cheese meals. Stir it into pasta or risotto, melt over a steak or smother the Cheese with Chives version over roast potatoes with grilled streaky bacon for a crowd-pleasing addition to the Sunday roast. 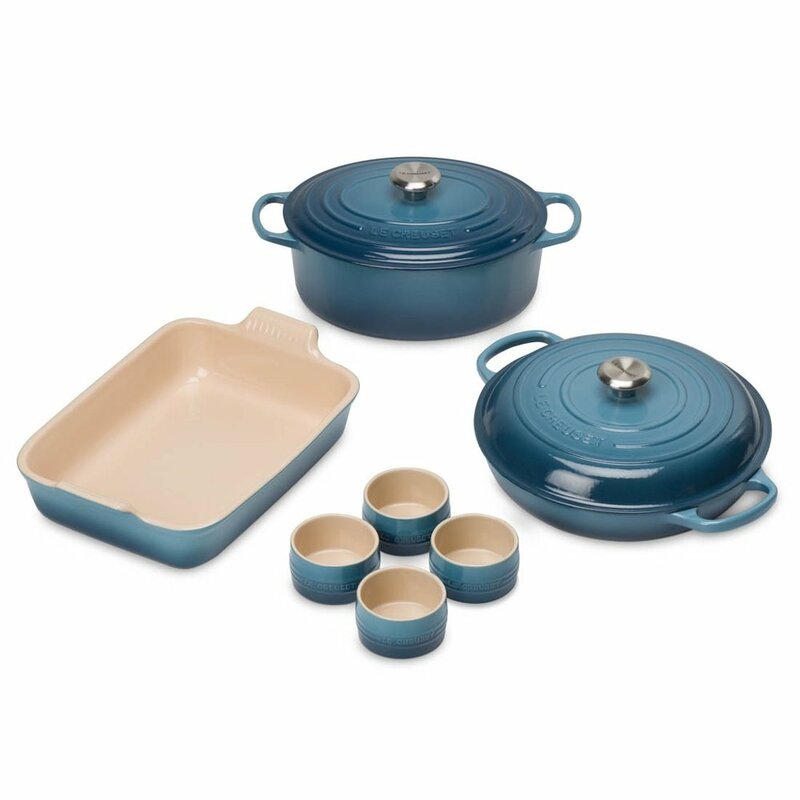 One lucky winner will receive a hamper of Primula products, plus this gorgeous Le Creuset cast iron set, pictured above. WIN £5000 cruise and meet the stars of the 80s!